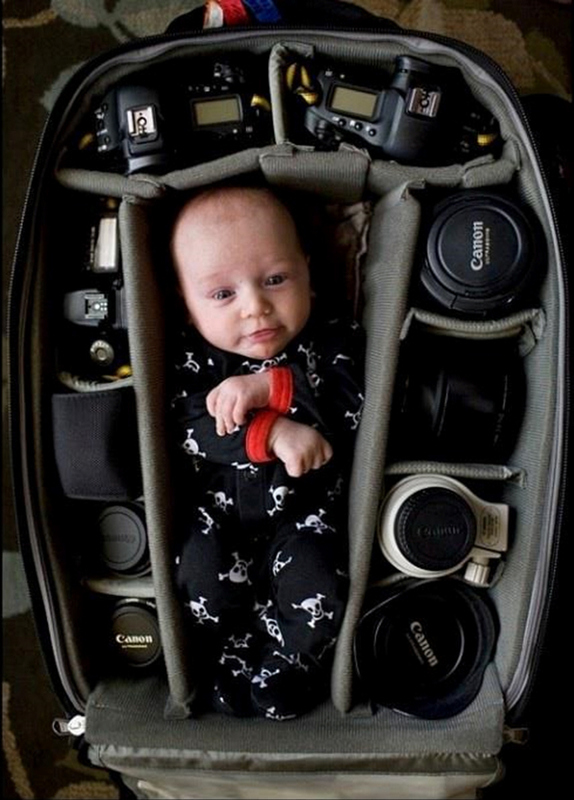 Easy, pack up the kid and take him/her with you. Info on him HERE, unfortunately he was killed during a violent robbery but check out his work, some amazing stuff. Very sad. He left behind a portfolio of beautiful photos. Poor baby, which I assume was his. But yes, clever photo! I've seen some of his other work - the insect shots are unreal. Now that's a funny photo Trev.